Here’s week 15(!) 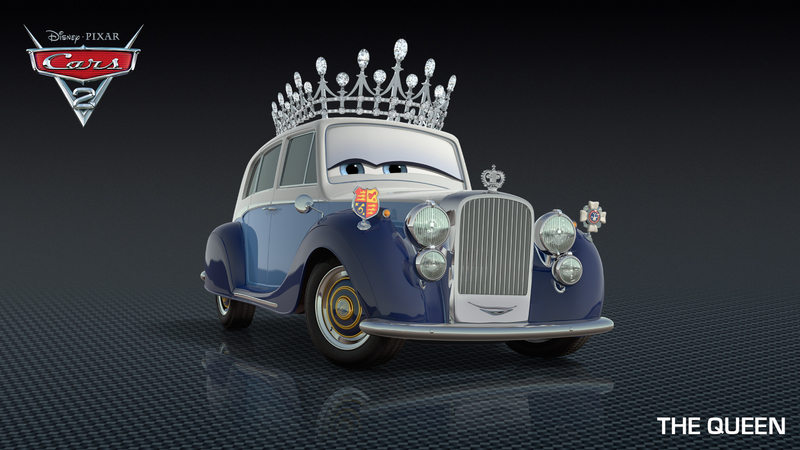 of the Cars 2 character roll-out and following on from Lewis Hamilton a couple of weeks ago, we have another British load including the queen voiced by the legendary Vanessa Redgrave alongside Topper Deckington III, Prince Wheeliam, Sgt. 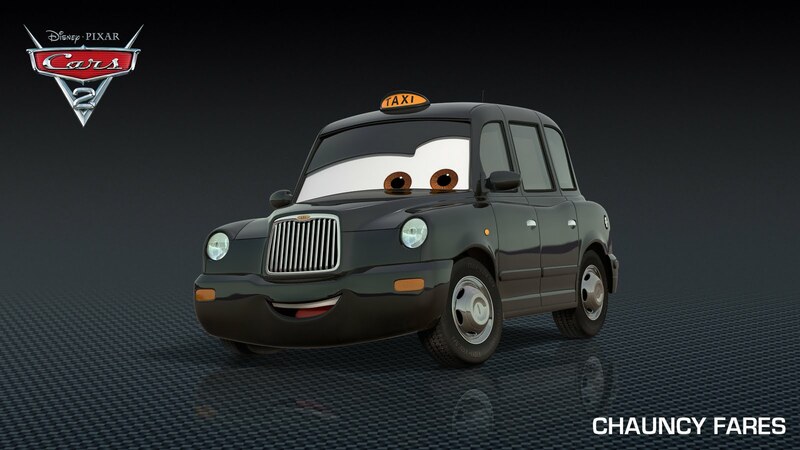 Highgear and Chauncy Fares as a London black cab. 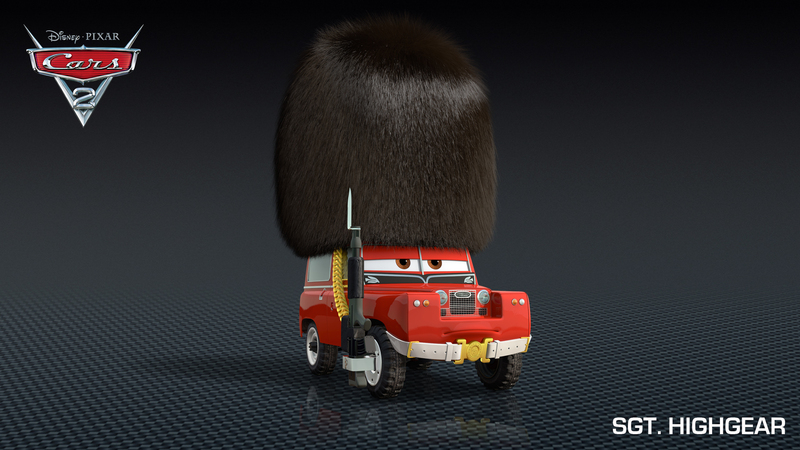 If you haven’t already voted for your favourite Pixar character, click here to do so! Cars 2 is released in the UK 22nd July, is directed by John Lasseter and has a voice cast which includes Tony Shalhoub, John Ratzenberger, Owen Wilson, Cheech Marin, Larry The Cable Guy, Bonnie Hunt, Michael Caine and Michael Keaton. Synopsis: T Star racecar Lightning McQueen (voice of Owen Wilson) and the incomparable tow truck Mater (voice of Larry the Cable Guy) take their friendship to exciting new places in “Cars 2” when they head overseas to compete in the first-ever World Grand Prix to determine the world’s fastest car. But the road to the championship is filled with plenty of potholes, detours and hilarious surprises when Mater gets caught up in an intriguing adventure of his own: international espionage. Torn between assisting Lightning McQueen in the high-profile race and towing the line in a top-secret spy mission, Mater’s action-packed journey leads him on an explosive chase through the streets of Japan and Europe, trailed by his friends and watched by the whole world. Adding to the fast-paced fun is a colourful new all-car cast that includes secret agents, menacing villains and international racing competitors. Check out the image below which you can click to enlarge. 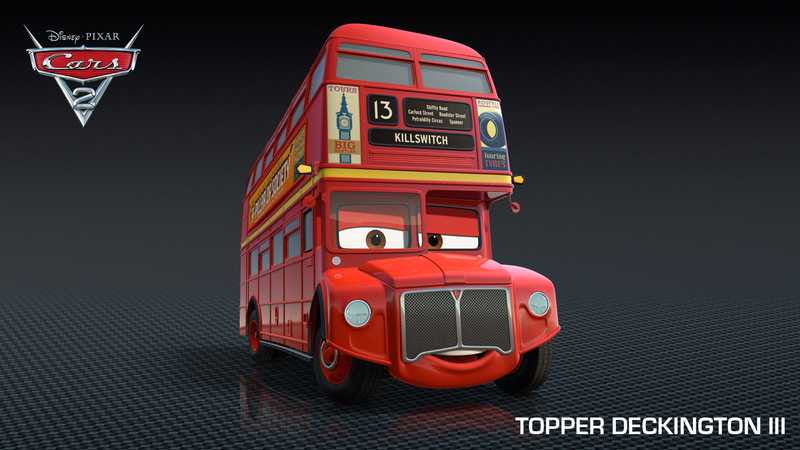 Topper Deckington III is a classic British double-decker bus in a vivid shade of red who relishes in his daily Killswitch route through London’s famous bustling Petroldilly Circus. 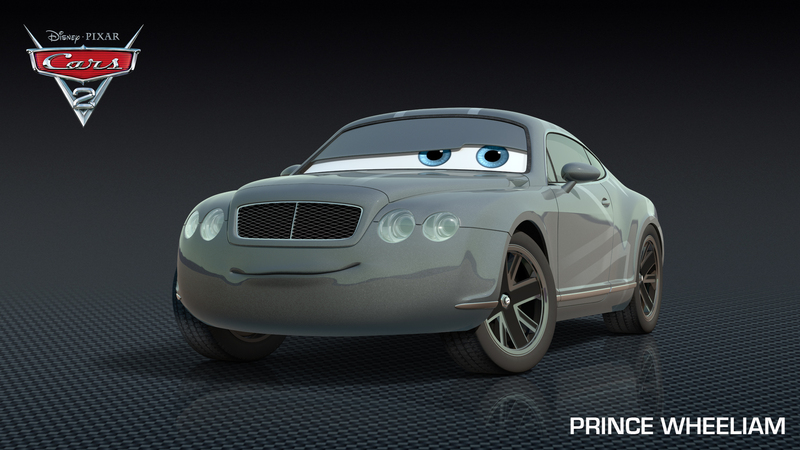 Prince Wheeliam of England is an avid racing fan. He can’t believe his luck that the final race of the one-of-a-kind World Grand Prix is happening on the streets of London. Though he must remain impartial when by his grandmother the Queen’s side, he is privately rooting for his fellow Brits Lewis Hamilton and Nigel Gearsley to cross the finish line first. With the final stage of the World Grand Prix racing through the historic streets of London, England, the Queen is quietly elated she was invited to preside over the finish line by Sir Miles Axlerod. Painted in shades of the most royal blues and never without her jeweled crown, the Queen is the definition of decorum and regality, but that doesn’t mean she doesn’t enjoy a bit of first-rate competition! No one knows the sites, streets or shortcuts of London better than the jovial Chauncy Fares, a quintessential London black cab. Sgt. Highgear is a member of the regiment assigned to London’s landmark Buckingham Palace. With a recognizable tall bearskin cap atop his scarlet body, he stands guard at his sentry box with pride and conviction.